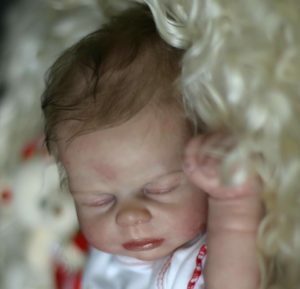 This super realistic reborn baby girl for sale currently on eBay will bring joy to anyone that wins her. Painted to a high quality you could be mistaken for thinking she was real. 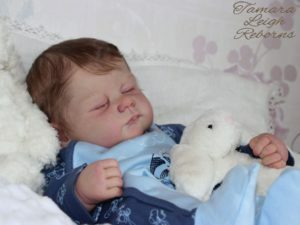 Great detail was paid to the realistic, baby like skin colour and veining. Ahh !! Her babylike, soft, first quality frosted light brown natural hair has been carefully and Generously implanted and well sealed from the inside. Her exquisite long eyelashes were stitched inside a very thin needle. 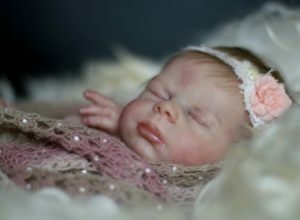 ISABELLA is a collectable and outstanding doll. She will come to her new home beautifully dressed as pictured. We also gave ISABELLA a magnetic dummy. 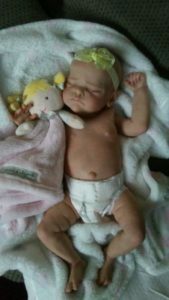 Baby Isabella will be wrapped in a beautiful diaper when carefully prepared for her journey to meet her new mommy. 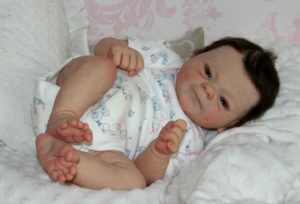 Our dolls are reasonably priced but still of the highest standard. Please look carefully at all the pictures or ask for more, since she is a piece of artwork, we do not take returns.